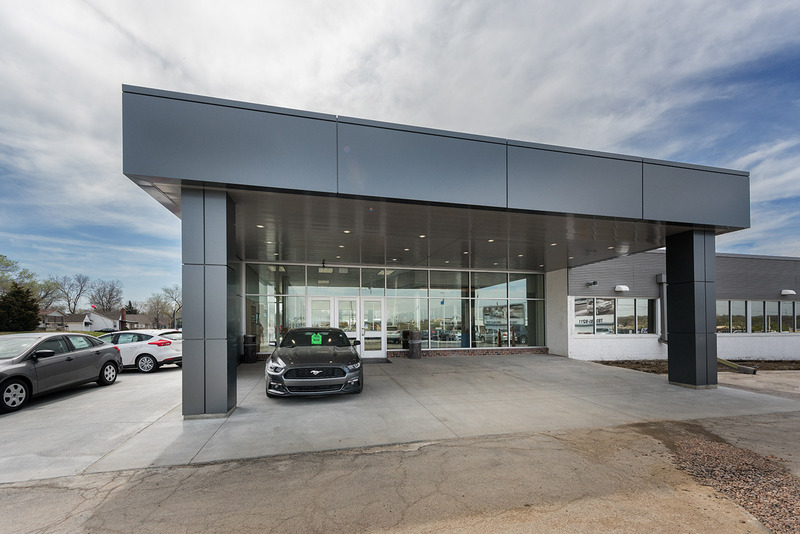 Designers from Ford Motor Co. created a preliminary set of drawings and renderings that HTK used to finalize for design and construction documents of the Laird Noller Ford Dealership. 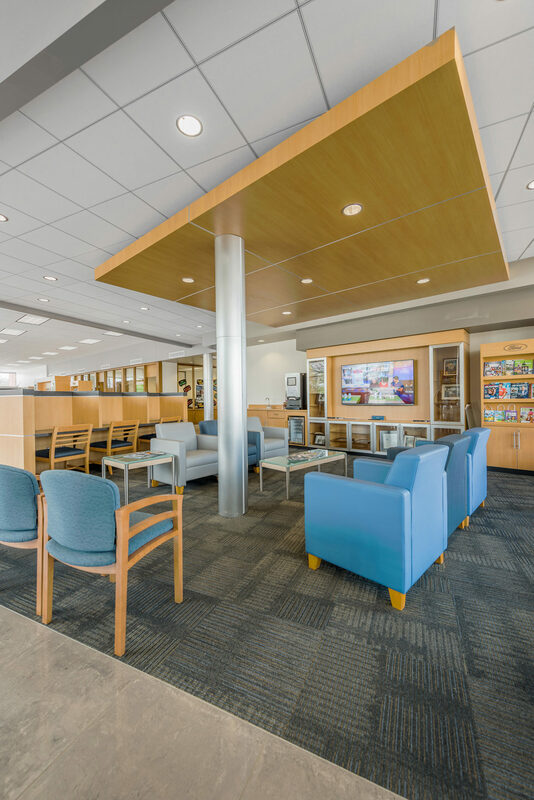 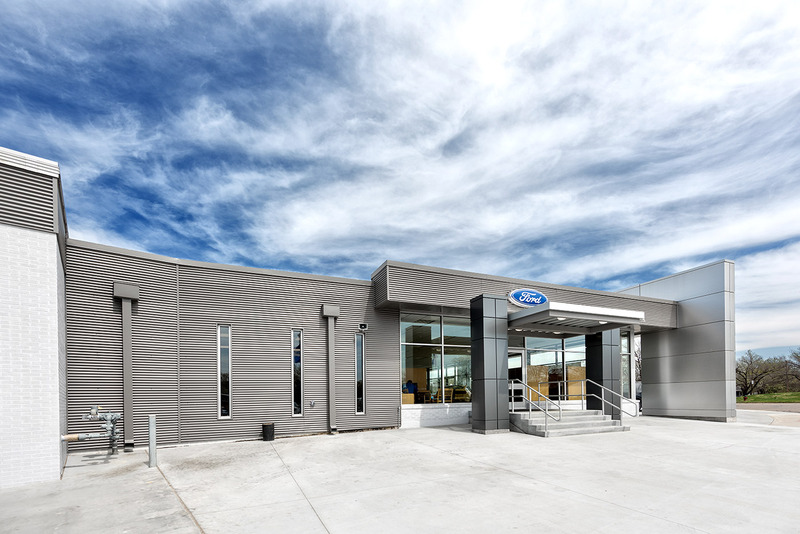 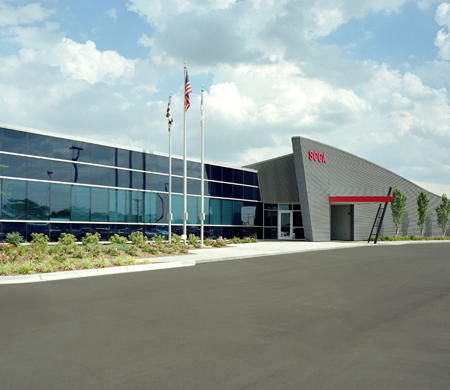 The overall intent of the project was to modernize their existing dealership facility so that every customer space was upgraded to Ford’s current standards. 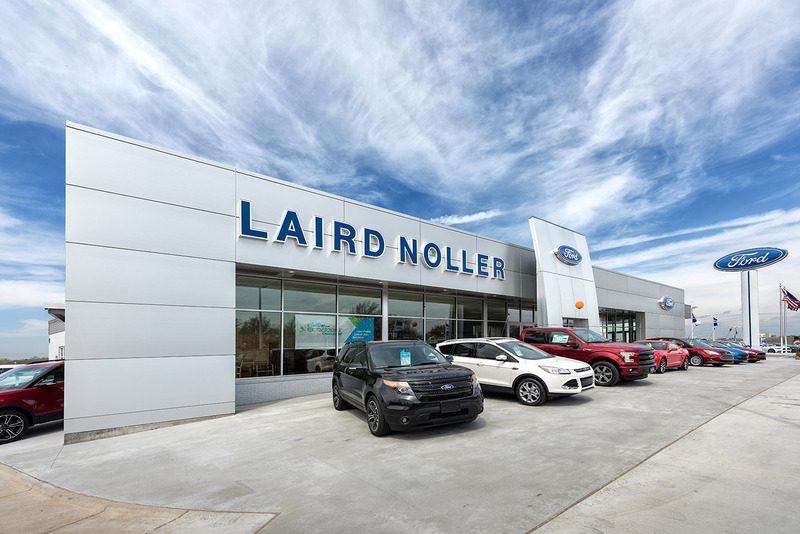 The design maintained the individual architectural characteristics of the original Laird Noller Ford dealership while elevating it to Ford’s present-day branding standards. 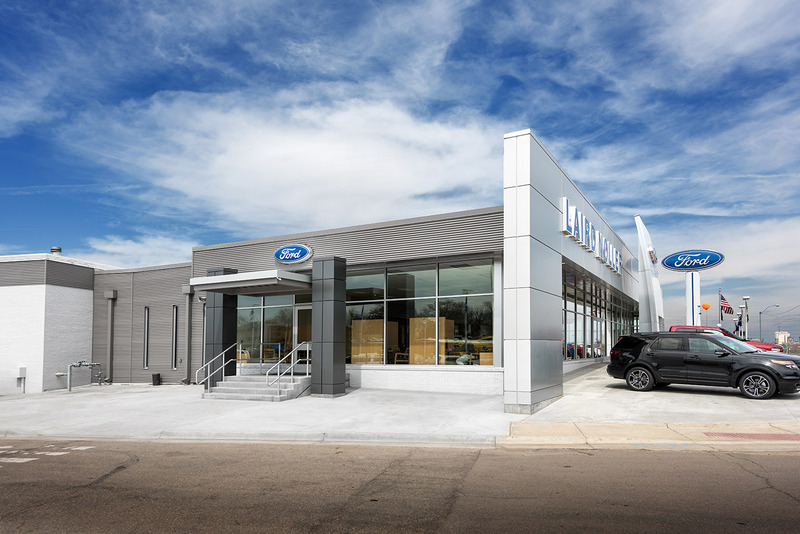 The exterior facade is revitalized with Ford’s brand wall and sail, new signage is added that creates clear dealership and service identification, and the canopies at the north and south now clearly define the entrances to the main showroom. 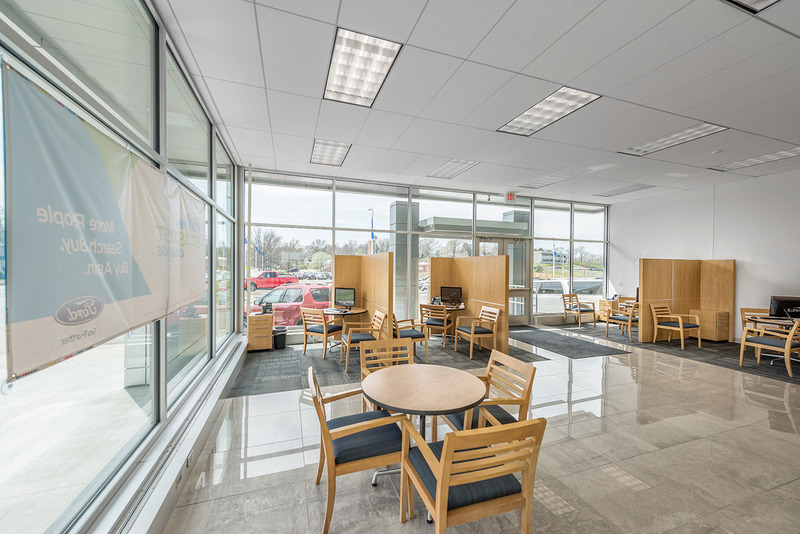 To keep customers out of the circulation flow, the cashier and customer parts areas are redesigned. 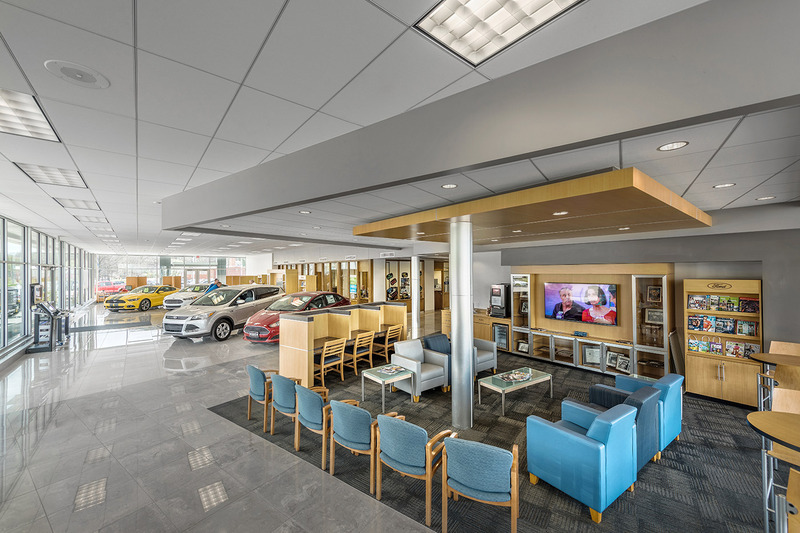 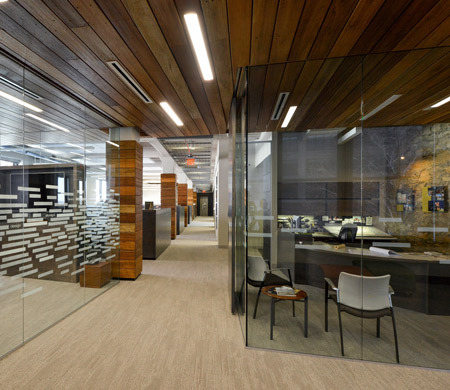 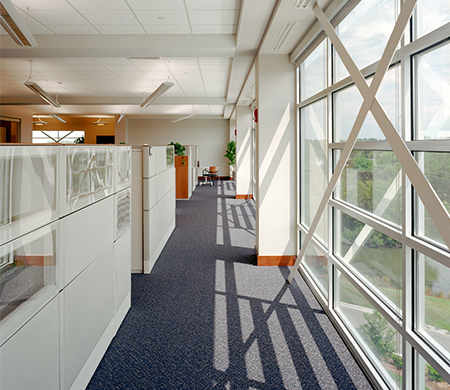 The showroom and customer lounge spaces are extended with a 500′ addition, and the entire space has new finishes including a display area in the brand wall. 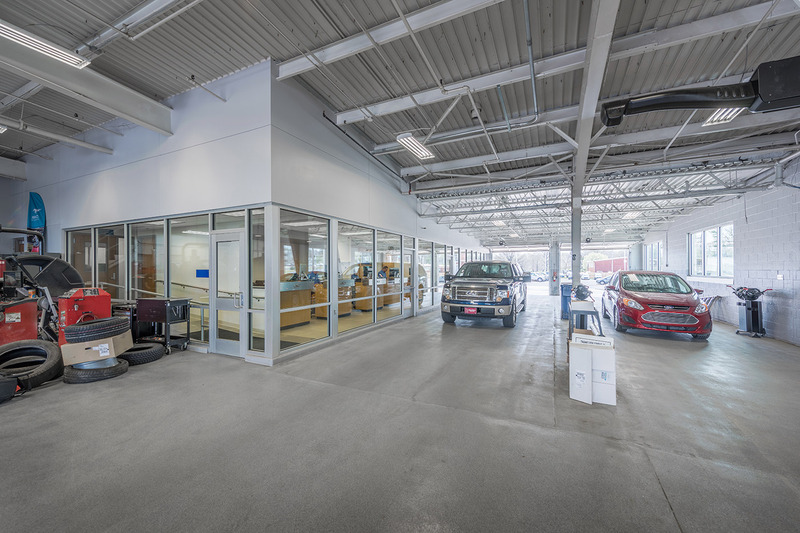 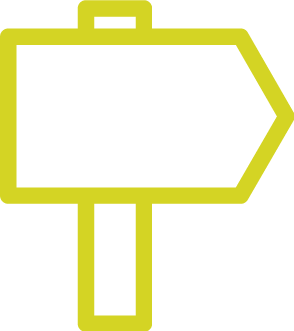 Lastly, a new service advisor area removes the advisors from the center of the vehicle lanes and into a comfortable service bar to the side.